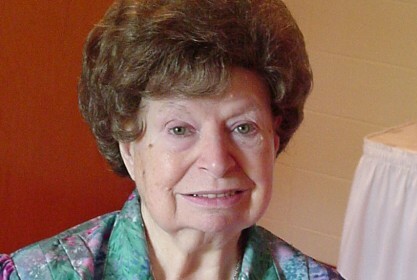 Sister Roseanne Walker (formerly Sister Ann Rose), 90, died November 21, 2018 at St. Joseph’s Manor. She was born in Malvern, PA to James and Anna E. O’Connor Walker. The family soon moved to the Logan section of Philadelphia where she attended Holy Child School, graduating from Little Flower High School in 1946. She entered the Grey Nuns of the Sacred Heart that same year. She prepared for her career as a teacher by attending D’Youville College in Buffalo, NY, later teaching in various locations: Long Island, Buffalo and Ogdensburg, NY; Mahanoy City and Strafford, PA and in the Guidance Department of Bishop McDevitt High School, Glenside, PA. In 1979, toward the end of her active years as a teacher, she began her ministry to the poor in state mental institutions. She served compassionately to this most marginalized segment of people and those most in need until debilitating illness struck her in 2001. Forced to limit being an onsite advocate, Sister’s dedication did not wane; not when the phone and computer were on hand. Sister Roseanne continued her lifetime of giving even after death, donating her brain and body to the University of Pennsylvania Hospital. Sister Roseanne trained for a Clinical Pastoral Education degree at Trenton Psychiatric Hospital. With more concrete knowledge, when Philadelphia State Hospital at Byberry closed, Sister followed those patients that moved to Norristown State Hospital. With increasing experience, she became more involved in the needs of the patients. She served on seven boards, all whose affiliations were to address the needs of the mentally ill including appointment to positions on the Human Rights Committee Volunteer Board, South Eastern PA State Board, the Bucks County Mental Health and Mental Retardation Board. Her ministry did not go unnoticed as she received several state and local awards. She was extensively involved in the Pennsylvania Mental Health Counselors Association (PAMHCA), National Alliance on Mental Illness (NAMI) and Certified Speaking Professionals (CSP). Her expertise was also sought by area nursing schools, where she shared a philosophy of caring for the mentally ill. Sister Roseanne was preceded in death by her parents and two brothers. She is survived by nieces and nephews and her religious community. A Memorial Mass will be offered on Saturday, December 15, 2018 at 10:30 AM in the Redeemer Sisters Chapel, 521 Moredon Rd, Huntingdon Valley, PA. Burial will follow in Resurrection Cemetery, Bensalem, PA.
Memorial contributions may be made here, or by mail to Grey Nuns of the Sacred Heart, 14500 Bustleton Ave, Philadelphia, PA 19116-1188 . Funeral arrangements by Beck/Givnish, Inc.